Virgin Trains - So, where are you heading? 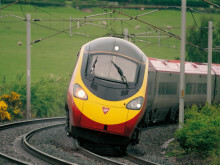 Virgin Trains has named one of its Pendolinos 'Lady Godiva' to mark Coventry’s UK City of Culture in 2021. The train also carries the new city flag and will be seen my millions up and down the west coast route. The naming follows on from competition run by BBC Coventry & Warwickshire. 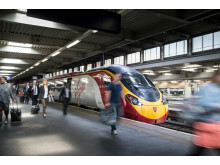 Virgin Trains has broken new passenger records after nearly doubling rail industry growth levels. Nearly 40 million journeys were made over the last year (2018/19) on the route connecting London to major cities such as Manchester, Birmingham, Preston and Glasgow, a 3.1% increase on the previous year and up by nearly 10m compared with six years previously. 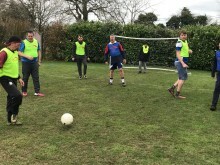 Virgin Trains has partnered with Solihull Moors Football Club and Solihull Mind to run weekly football sessions to help those in the local community struggling with mental health issues. Virgin Trains has become the first travel company outside of Northern Ireland to introduce a ground-breaking initiative for people with communication barriers. 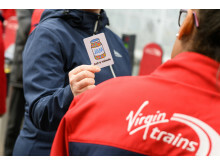 Standing for “Just a Minute”, anyone with a JAM card can present it to Virgin Trains staff to let them know they have a communication barrier which could be a result of number of factors including autism or a learning difficulty. 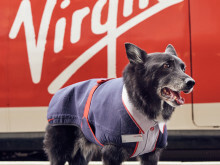 Virgin Trains has honoured the memory of Jake the Trainspotting Dog by unveiling a specially commission portrait and 'Jake' inspired watering station for his fellow canine friends. 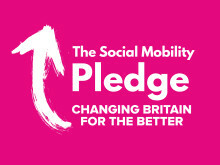 ​Virgin Trains has become the first train operating company to be named an accredited Social Mobility Employer, as part of a nation-wide drive to improve social mobility in the UK. 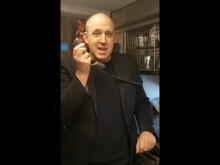 ​Virgin Trains customers have been treated to an impromptu onboard performance by one-liner legend Tim Vine. 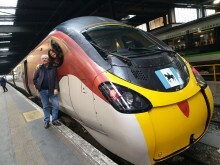 The award-winning comedian delivered a five-minute set over the tannoy of the Euston to Manchester service after being invited to share some gags by Train Manager Darren Jones. So, where are you heading? Whatever the destination, you’ll enjoy a faster, greener and more comfortable journey when you head there with us. 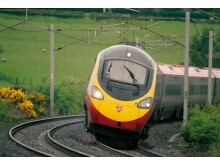 We've been speeding all over the country for more than 15 years in our Pendolino and Super Voyager trains. We’ve learned lots along the way, making us one of Britain’s most experienced train companies. So if you want to get there happy and refreshed, hop on and get comfy – we can’t wait to see you.